Lahore (Saturday, August 31m 2013) – Government College Lahore was Pakistan best Institute for many years. Few years back it was upgraded into a degree awarding university. Now It is called GC University Lahore. It is dream of every student of Pakistan, to study in this educational institution. But few of them achieved this goal. 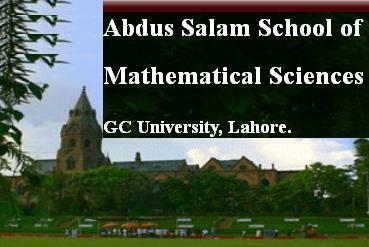 GC University Lahore has Abdul Salam School of Mathematical Sciences in Muslim Town Lahore. It has announced vacant post /vacancies for its school of mathematics.